In 2012, 16% of all students in Prairie Valley School Division are self-declared as having First Nations, Métis or Inuit ancestry. Prairie Valley School Division is committed to increasing achievement levels of First Nations, Métis and Inuit students. A comprehensive First Nation and Métis Education Action Plan is in place and a partnership is established with First Nations and Métis representatives on First Nations and Métis Advisory Council. The Council focuses on First Nations and Métis education and increasing positive learning outcomes and student success. A comprehensive First Nations and Métis Education Action Plan has been in place for five years to provide structure and ensure accountability for results. 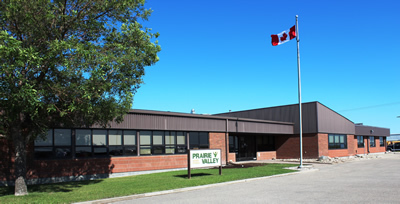 Prairie Valley School Division is located in Treaty 4 Territory. Treaty 4 was signed on September 15, 1874 in Fort Qu'Appelle. Prairie Valley School Division has a three-year treaty education plan focusing on teacher professional development, student resources, and support for division wide Treaty education. As part of the process, teachers are encouraged to visit the Office of the Treaty Commissioner website. Saskatchewan is committed to strengthening partnerships between First Nations and non-First Nations people in Saskatchewan in the spirit of the Treaties. The instruction in the history and content of the Treaties is mandatory in the provincial K–12 system. Prairie Valley School Division students participate in cultural celebrations and gatherings. These include feasts, sweats, tipi teachings, the annual Treaty 4 Fall Celebrations, and Pow-wows. Many Prairie Valley schools and students prepare projects related to First Nations, Métis and Inuit education. This project work strengthens a student’s understanding of the past, present and future of First Nations, Métis and Inuit culture. This project began with a question: What do the Treaties and our connections to the land mean to us today as First Nations people and Settlers in Saskatchewan? Treaties were signed across Canada with the intention of respecting the inherent rights of the Indigenous people who lived here since time immemorial and opening the country for settlement. The Treaties are ‘brother to brother’ relationships and the spirit and intent of the Treaties is to live peaceably and harmoniously with each other and the land. Grade 10 students in five PVSD schools and three First Nations schools participated in land tours with local Elders and historians. They explored their own relationship to the land. Through digital photos, video and audio, the students learned about First Nations and Settler relationships and settlement in the Treaty 4 area. With the mentorship of digital artist Lesley Farley, the students acquired practical skills of interviewing, photography, video, audio and movie making. • Bert Fox High School, Fort Qu’Appelle, Sask. • Broadview School, Broadview, Sask. • Chief Kahkewistahaw School, Kahkewistahaw First Nation, Sask. • Grenfell High School, Grenfell, Sask. • Indian Head High School, Indian Head, Sask. • Kakisiwew School, Ochapowace First Nation, Sask. • Lipton School, Lipton, Sask. The project was focused on literacy and writing and on connecting young people with the leaders and knowledge keepers in their communities.